The Day Ration is a 24 Hour Food Pack containing food and sustenance for 1 Person for 24 hours. Each food pack has breakfast, lunch, and dinner stored in one conveniently accessed and re-sealable 6 mm pouch. What is the Day Ration? The Day Ration is a 24 Hour Food Pack containing food and sustenance for 1 Person for 24 hours. Each food pack has breakfast, lunch, and dinner stored in one conveniently accessed and re-sealable 6 mm pouch. Why a Day Ration? Each Day Ration/24 Hour Food Pack contains approximately 3200 calories and weighs 2.9 pounds. So it is light-weight relative to the number of ready-to-eat calories available. 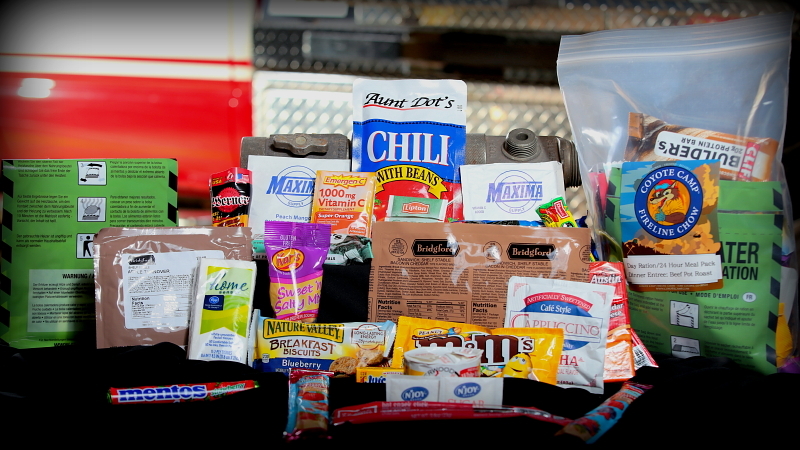 All components used in the Day Rations require zero preparation – they are ready to open and consume. However, for the dinner entrée, we have included a water-activated heater to provide you with a hot meal, should you so desire. Who should use the Day Ration? 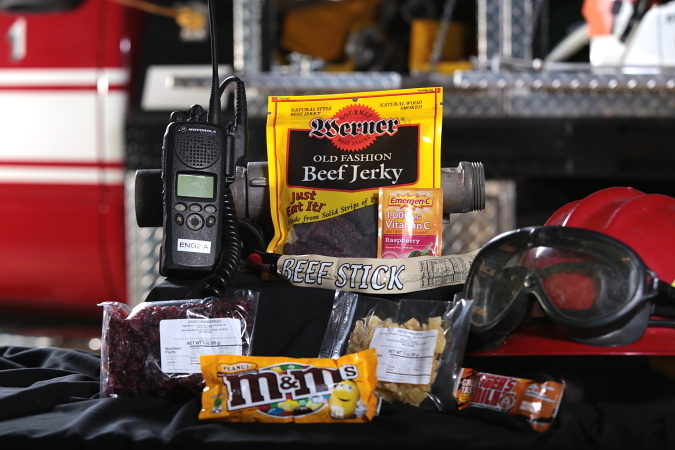 From the start, Coyote Camp Fireline Chow has been producing and providing ready-to-eat meals for the Wild Land Firefighter and all others who engage in human and resource protection, including USAR Teams, Law Enforcement Teams, Structural Firefighting Departments, Contract Fire Crews, Private Contract Fire Crews – in essence, the full spectrum of Emergency Service providers serving at every level and all emergency environments. 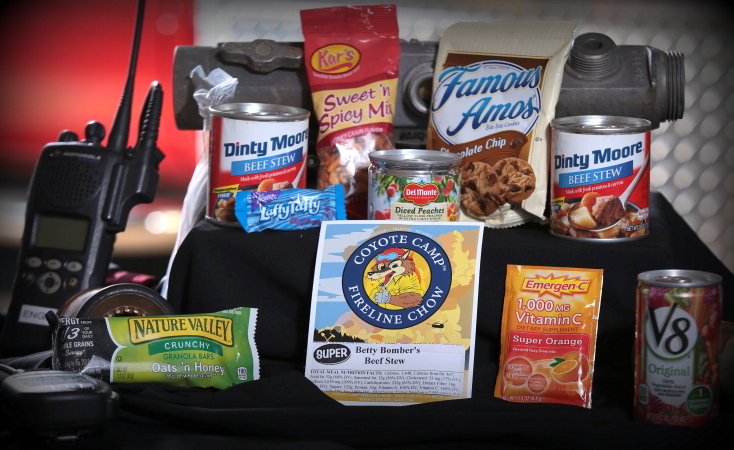 We believe there is a place for the Day Ration among these very same providers and customers of Coyote Camp Meals. The Day Ration/24 Hour Food pack simplifies food and meal distribution at the Logistics level, meaning that the Logistics coordinator of any team or operation need only engage in a once per day meal distribution plan. The Day Ration also works well for the individual team member, who will have enough food and caloric sustenance easily carried in their pack or on their apparatus in one convenient pouch for a full 24 hours. Additionally, the Day Ration is extremely well-suited for distribution to civilian populations during larger catastrophic and/or evacuation events where simplified food distribution logistics is desirable. 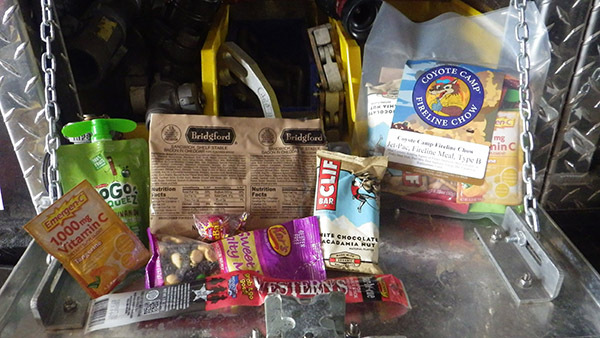 We invite you to look at the Day Ration/24 Hour Food Pack as another valuable tool to help you meet your field nutrition requirements, your crews’ field nutrition requirements, and/or any civilian persons in your care. We thank you for the opportunity to help meet your field nutritional needs since 1997! Here are some addition specs for the Day Ration. Day Ration Configuration: Pouched configuration (10×14). Boxed configuration (12x9x2). Day Ration Meal Weight: 2.9 pounds. Day Ration Caloric Value: 3200-3300 calories. Dinner Entrees are offered as a rotating variety. Day Ration Case Configuration: 4 Day Rations/Case. * BBQ Beef, Bacon Cheddar, Italian, Swt & Sour Chicken.